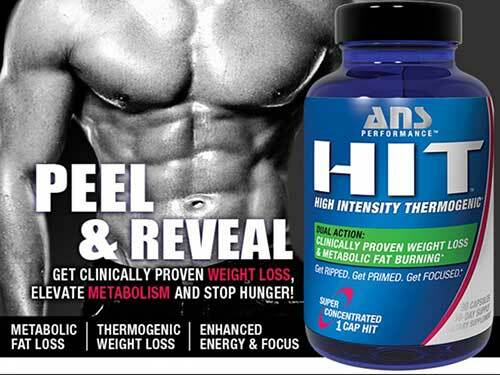 Hit is a fat burning supplement brought to market by the Canadian company ANS Performance. It contains a blend of plant extracts and vitamins and the “unique formula” apparently kick starts the body’s “metabolic process of visceral and subcutaneous fat oxidation”. ANS Performance also claim the capsules can provide appetite suppression and boost energy levels, and further state the formulation has proven abilities:- “Clinical Test Subjects Lost 8x More Weight than Placebo.” Unfortunately this claim is not backed up by a link to the study and the ANS Performance website fails to provide any information about where the said study was conducted, by whom, or the exact conditions involved. What is HIT and how does it Work? Like all appetite suppressing and fat burning combos, HIT has been designed to dull the appetite and help the user maintain a lowered calorie intake. If the calorie intake is lowered sufficiently the body will begin to burn fat to obtain the extra calories it needs. Such a scenario offers obvious benefits and the addition of fat burning ingredients should enhance the body’s fat burning abilities sufficiently to provide faster and better results and allow the user to benefit from the extra energy released by the fat burning process. That the theory, but whether or not the HIT blend will be able to achieve any of this will be dependent on the quality of the ingredients used and, of course, on the ratios involved. Vitamin C is an important nutrient that can boost the immune system and help protect against certain diseases. 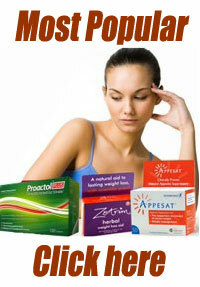 It has been speculated that vitamin C may also be capable of boosting energy levels. B Vitamins can boost the metabolism and help the body turn nutrients into a useable source of energy. Unfortunately the use of a proprietary blend means no inclusion rates are available for the rest of the ingredients. The presence of caffeine should provide increased energy and, although the science is a little shaky, hordenine is believed to trigger a state of fight or flight that releases sufficient adrenalin to supress the appetite. Evodia Rutaecarpa is a stimulant that is reputed to be thermogenic fat burner, but supportive evidence appears to be limited to tests conducted on animals, not humans. Schizandra chinensis is a stimulant that if often claimed to combat feeling of exhaustion, but once again supportive evidence is lacking and the same can be said for the abilities of many of the other ingredients. Without any inclusion rates to go by though, further speculation is useless. Customer feedback may provide a more useful indication of the kind of results new users can expect. How to Take HIT – For general weight loss, one capsule is required three times each day and doses should be taken 30 minutes before the three largest meals (typically breakfast, lunch, and dinner). If HIT is being used a pre-workout supplement one to two capsules should be taken 15 – 30 minutes before activity begins, but it is important never to exceed two capsules in any four-hour period or a total of five capsules per day. Customer feedback is hard to find and the little that is available suggest HIT may work better for some users than others. It the people at ANS Performance are aware of any side effects they are keeping a dignified silence. Apart from a standard warning not to exceed the recommended dose, the official sales page contains no health information at all. Pregnant or nursing mothers are advised not to use any dietary supplements unless their doctor has told them it is okay to do so. People who have health issues or concerns should also seek medical advice before using HIT or any other brand of dietary supplement. A (90 capsule) bottle of HIT costs $34.99 from the ANS Performance online store. It is also possible to purchase the capsules via a number of independent suppliers, including XPLOSIV SUPPLEMENTS and Tropicana Wholesale, but this seldom the cheapest way to go. 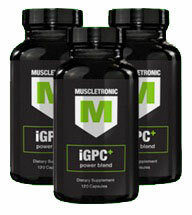 It is difficult to look outside of Muscletronic iGPC+ in this category. A workout supplement that was developed by users for users. It is a highly effective muscle building supplement that can burn fat and provide focus and mental agility.